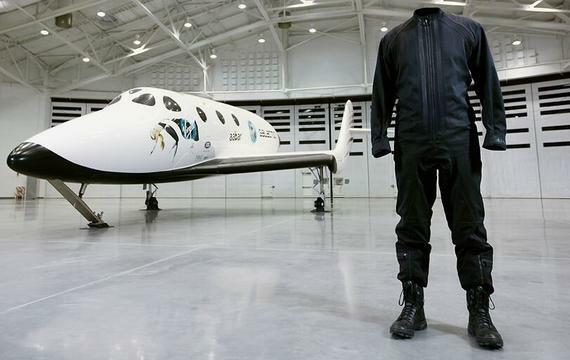 Virgin Galactic’s pilots will be stylin’ in space. Many astronauts have sported NASA’s blue jumpsuit over the years. It’s practical, but it’s hardly the sort of thing you expect to see strutting down a runway in Paris. Virgin Galactic, the skinny-jeans rock star of the space world, wants in-flight fashions to look more urban and less space-y. Virgin Galactic teamed with clothing maker Adidas Y-3, a sub-brand featuring the work of Japanese designer Yohji Yamamoto. Y-3 will create astronaut flight suits as well as clothes for operation, maintenance and hosting staff. The collaboration, announced last week, is ongoing, but Virgin Galactic and Y-3 revealed a prototype flight suit and pilot boots. The pilot boots borrow from traditional military styling, but are extremely flexible and lightweight. The suit includes a subtle graphic running up the back detailing the history of flight, from birds to spacecraft. Virgin Galactic has plans to take tourists into space, but is still in the process of conducting test flights. The company now has a strong lead in space fashion. Those fight suits look like they could go on a night out on the town in New York.